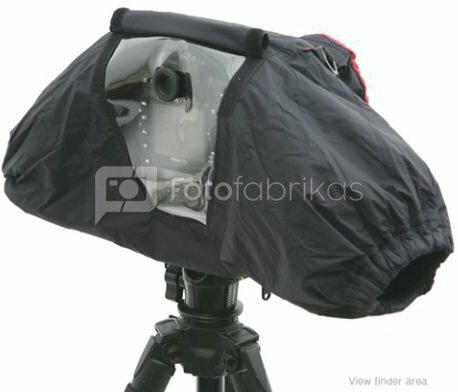 The Matin M-7100 Deluxe Camera Rain Cover is equipped with a transparent window allowing the viewfinder and LCD screen to be visible when the camera is fitted with the waterproof cover. On the left and right side of the cover are two holes, which act as ‘sleeves’ for your arms. These sleeves are elasticised at the end and ensure a tight fit around your arms, preventing water and dust etc. from reaching the camera. 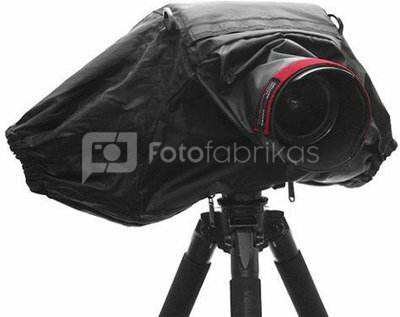 The Matin M-7100 is suitable for all SLR cameras, with or without a battery grip. The rain cover has a built in hood, which can be unrolled when needed and rolled back when it’s not needed. 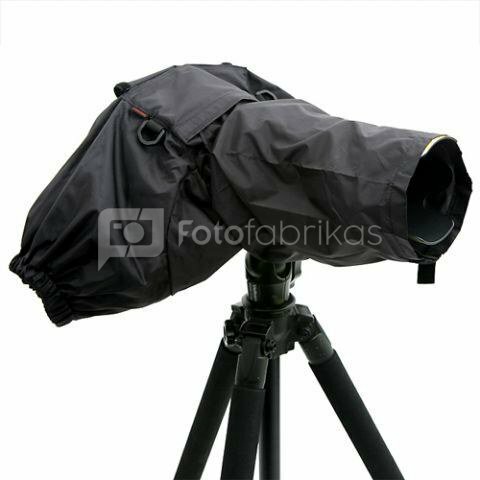 The Matin M-7098 is compatible with all cameras with a lens up to 300mm long.